Photographs glorifying terrorism against Israel and Jews were prominently displayed such as a man yielding a fire kite to burn and kill Israelis. One speaker even refused to speak with a Jewish student. UNC and Duke did not include or invite a single mainstream pro-Israel group or speaker. Read all about this hateful conference here and read Barry Strock’s review below. 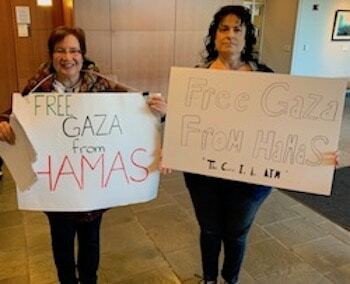 On March 22 to 24, 2019, about 100 people attended a 3-day pro-Gaza program called “Conflict Over Gaza”at UNC Center for Middle East and Islamic Studies that was well planned and managed including biased and distorted claims against Israel. Friday night began a reception and a musical hip-hop concert. The entire program was supported by 18 UNC departments, Duke University and a half dozen Rotary Clubs. Saturday morning started with a well-organized registration process with continental breakfast. This was followed by a daylong series of panel discussions. The attendees enjoyed wonderfully prepared Gazan recipes from Lalla El Haddad’s Gaza Kitchen Cookbook. On Saturday, except for one panel discussion, the other four panel discussions were a well focused, singled sided, propaganda selling of the general theme that Palestinians are an indigenous tribe with unlimited and irrevocable rights without any responsibility, obligations of accountability for any consequences due to their actions. The speakers’ messages indicated that Israel is to blame for all the Palestinian hardships. The speakers claimed that Gazans and Palestinians should be held harmless to their hardships. There was no mention about the Gazans’ and Palestinians’ aggression against Israel in the form of tunnels, missiles or rockets or that the Palestinians initiated four wars. There was an inference that Allah, Israel, or the international community is obligated to rescue, defend and support the Palestinians through the continued billions of dollars from the international communities. Unfortunately, not much of this money has been used for humanitarian aid and badly needed infrastructure. One of the NGO presenters refused to correct her statement about a Gazan young boy with genetic defects whose life was saved by Israel accepting him for seven years into their health care system. In the seventh year, the mother was refused a Palestinian permit to go across the boarder. The speaker blamed Israel when it was not. The problem came from the Gazan side because of the Palestinian laws and bureaucracies. Israel took care of the child and his grandfather for seven years straight. Israel made it possible for the grandfather to get work to help support his family. One speaker was dismissive towards Israel’s ability to create the Iron Dome system alleging that America gave it to them. America did help financially but it was Israeli ingenuity that made it happen. The only professional and academically independent and objective panel was with Dr. Nathan Brown, Georgetown and Dr. Nathan Stock. Middle East Institute. These panelists intelligently discussed the tension between Hamas and Fatah. It was pointed out that Hamas is Arabic for “Islamic Resistance”, which is akin to the Moslem-Brotherhood. Hamas and Fatah cannot even talk to each other negates any regional peace process. On a positive note, there were not any overtly anti-Semitic references, only overt anti-Zionist and anti-Israeli comments. The second day consisted of movies. One of the movies showed an elementary school classroom teaching the children “resistance” NOT “resourcefulness”and using brainwashing songs to angrily resist what they call Israeli aggression. In the six movies presented it was difficult to see how slanted information can show the hate, anger and resentment born into these people instead of showing grounding for hard work, sacrifice, and prosperity. Health conditions are horrible. It is hard to image their pain, suffering and degradation. I went to the conference to explore possibilities for the Palestinians and Israeli’s. The conference was telling and distressing. The conference organizers were disillusioned and were trying to sell Gaza as comparable to a successful European or American city. It is a financial, political, economical disaster zone. Supporters of Palestine have aspirations to evolve Gaza into a sovereign nation-state. It is a terrorist haven that is a fumbling failure. The conference sponsors started with hip-hop anti Israel rapper concert at the beginning and experimental cinamagraphic homage to the Gaza Strip to paint an illusionary image for aspiring Palestinian students that Gaza is on the cusp of “arriving”, yet in fact it is on the threshold of demise. The thought of a Gaza nation is a very false impression for the over zealous optimists and progressives who would not survive a minute in the homophobic, misogynistic, chauvinistic, terror managed police state of the Gaza Strip. According to literature passed out at the conference from gisha.org, in 2018 there was 52% unemployment and 69% unemployment among young people. This high unemployment rate is a time bomb waiting to implode into anarchy within the Gaza Strip. Seventy percent of the population is under 30. Gaza needs an objective “reality check” to realize that it is a “wanna-be” success that is not happening like Syria and Somalia. Unless the world of Gaza does not marketability change, it will be exactly as it is today or worse. 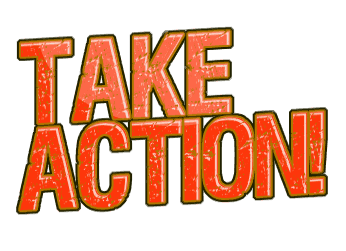 In order to become a successful state, there must be change or they will continue to languish. It is necessary for them to become energy independent by using solar energy. They can become food self sufficient by using many of the Israeli agriculture techniques. They can start small and with hard work and encouragement they can turn their lives around. Their government needs to innovate and bring in more humanitarian help and sophisticated services and reduce corruption instead of using the funds given them for tunnels and bombs against Israel. Certainly, Israelis would like to encourage their neighbors to be healthy rather than neighbors who preach hate against them.